1996: The 1st prize in sculpture, 7th salon of youth, Cairo, Egypt. 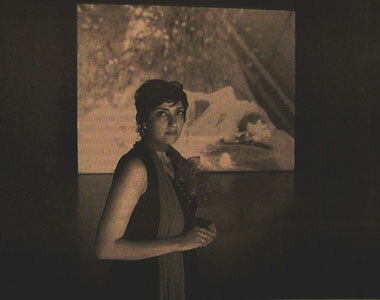 Amal Kenawy has had numerous solo exhibitions, including “Transformation,” part of the grant she received from Pro-Helvetia for an artist residency (2004), “The Journey” held at the Town House Gallery for Contemporary Art in Cairo (2004), “Booby Trapped Heaven”2006 video ANIMATION PHOTGRAPH . at the Mashrabia Gallery in Cairo, ( You will be killed /2006 )video animation and “Space” at the Karim Francis Contemporary Art Gallery in Cairo (2006). Kenawy has participated in various international biennales, some of which include the Dak'Art Biennale of Contemporary African Art (2004 and 2006) and the 1st Singapore Biennale (2006). This year, she PERSENTED AT Moscow Biennale 2007/ RUSSA. and the Sharjah Biennale /2007 in the United Arab Emirates. 2005: (Milan Oltre) (Festival did teatro danza musica e oltre – 19th edizione). , Italy. 2005: ( Festival de theatre des Ameriques)–Montreal .Canada. 2005: (Contemporena Festival) Prato- Italy. La Rose des Vent in Lillie, France (2004) and the Kunsten Festival des Arts in Brussels, Belgium (2004) as well as a variety of international film festivals like FIPA in Paris (2007) and 1st Tirana international film festival for short &documentary film / Albania 2003.